A prominent Glasgow businessman, he was a coach builder as well as being a house builder and architect, as Allan Dreghorn & Co., 1742-56, and was an important figure in the development of the Merchant City. He designed and built two of the most important public and ecclesiastical buildings in mid-18th Century Glasgow: the Town Hall (later Tontine Hotel), Trongate (1737-59, dem. 1911) and St Andrew's in the Fields Church, St Andrew's Square (1739-56, restored 2001), both of which anticipated the classical work of Robert Adam and David Hamilton in Glasgow a generation later. Both buildings were greatly influenced by James Gibbs' St Martin in the Fields Church, Trafalgar Square, London, 1721-6, and William Adam's Old College Library, High Street, Glasgow, 1732-45, dem. c.1870, and the Town Hall was similarly influenced by Inigo Jones's Piazza in Covent Garden, London, of 1631. He also worked with some of the best artisan-artists of his day in Glasgow, such as Mungo Naismith , the master mason, David Cation , the sculptor, and Thomas Clayton (fl.1710-60), the ornamental plasterer; all of whom produced Dreghorn's decorative work. 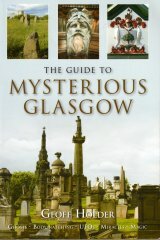 This includes Cation and Naismith's famous Tontine Heads on the Town Hall (now in St Nicholas' Garden, Provand's Lordship, Castle Street); Cation's magnificent Glasgow Arms in the pediment of St. Andrew's Church; and Clayton's sumptuous rococo plasterwork inside the church and inside the Town Hall. Pollok House, in Pollok Park (from 1747), is also said to be by Dreghorn but this remains unconfirmed (see Glendinning et al. , p.127). In September, 1745, during the Jacobite Rebellion, Dreghorn and several other businessmen signed a plea to the town council to seek agreeable 'terms' with Bonnie Prince Charlie if his army occupied the town. Dreghorn's success eambled him to build his own house to a Palladian design in Clyde Street (1752, dem. ), which was eventually occupied by his nephew 'Bob Dragon', the 'Glasgow Character' who inherited his wealth and house, and who became a notorious figure due to his ungainly looks and eccentric behaviour towards women. After his death, Dreghorn's business was continued by his brother-in-law, Michael Bogle and Allan Scott, another of his nephews. An idealised, bronze portrait of Allan Dreghorn was included in the sculptural ornament on Cruise, 178-82 Ingram Street, by Alexander Stoddart in 1994, where its presence is an acknowledgement of his contribution to the development of the Merchant City.